Photo Gallery - Perelandra Ltd. 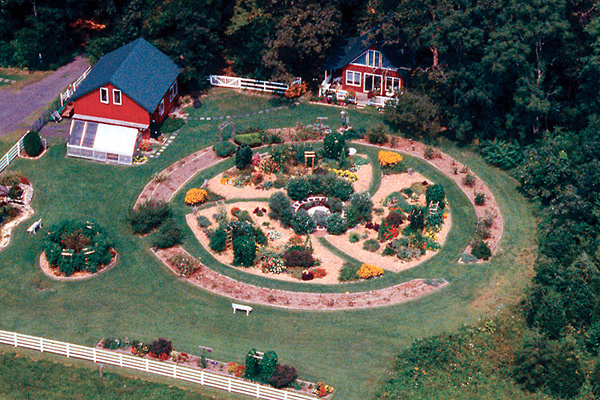 There's only one Perelandra garden and we know many of you wish you could visit us here and see the garden in person. But that's just not practical. So we try to offer as many ways possible for you to connect to Perelandra and experience the research done here and the results of Machaelle's long-standing partnership with nature. Every week, we take photos of what's happening in the Perelandra garden; the plants, the animal life, the work we are doing — everything from mulching and fertilizing to planting and pruning. Our goal is to provide a visual connection to give you an experience of the changes in the garden as we move through the seasons. We post new photos here every Saturday highlighting what's happening in and around the garden. For Virtual Open Houses, we put together special theme galleries and slide shows. We keep an archive of the past few years' galleries here for you to view anytime you need to get away and take a walk in the Perelandra garden. Enjoy! All of the beautiful photos you see on our web site have been taken at Perelandra by various staff members.